Classic and smart. 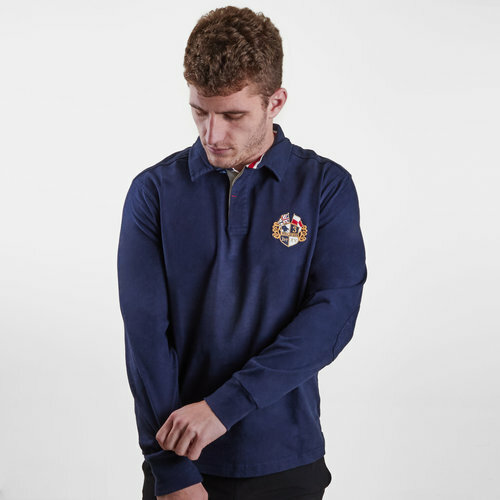 Improve your wardrobe with this Raging Bull Crest Embroidered L/S Classic Rugby Polo Shirt in Navy. This polo shirt comes in a cotton-pique and is lightweight. It is soft giving the wearer that relaxed feel. This polo has a 2 button placket and fold over collar with long sleeves. The iconic Raging Bull emblem is embroidered on the left of the chest.